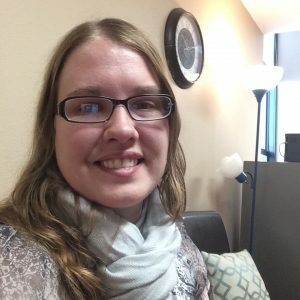 I became a freelance copywriter after starting out as an Americorps volunteer with two local health nonprofits, a small primary care clinic and a long-term care volunteers group. The need to get a lot of promotion accomplished with limited resources was a huge motivator and helped me to see the value of advertising and copywriting. Today, I carry that mindset with me in my work with clients. I do what I can to help my clients benefit the most from copywriting so they can keep doing what they do best. Really awesome. Fitting in with your team just like another person at the office, ready to contribute from day one, contributing ideas that help your projects shine. Supremely helpful. My goal is to score some serious wins for your organization with spectacular copywriting. That only works if you’re getting my best work. We’re a team–as a team, I need to understand your message and embody it in everything I do to make your project shine. Together, we need to be a winning combination of unstoppable marketing. Me, taking a picture and trying to get the lighting right in my too-bright office. Flexible. Every company has a different process, timeline and system. Different needs, ideas, customers and personalities. Copywriting shouldn’t be one-size-fits-all. Whenever possible, I’ll strive for flexibility. I’ll ask about your needs and look for ways to make the project easier for you so you can focus on your own responsibilities. Unapproachable, unreliable, unprepared or condescending. In my current business and past work lives, I’ve hired and worked with people who’ve fit each of those categories. It’s not fun, and we didn’t accomplish much. So I really don’t want to be any of those things in my work with clients.